A LEADING legal firm has underlined its ambitions to grow the business in East Lothian with the appointment of one of the region’s most respected solicitors. Multi-award-winning Gilson Gray has appointed Cheryl Edgar, who brings more than 20 years’ experience of the local property market to its North Berwick team. She joins as Senior Associate from local firm Garden Stirling Burnet (GSB) with many years’ experience in conveyancing law, and prior to this spent 18 years with Anderson Strathern. Her expertise means Gilson Gray can offer a full suite of legal services from within its local office, saving the journey into Edinburgh that many in the county faced when using legal services. Cheryl said: “I’m thrilled to be joining such a dynamic and forward-thinking team which is dedicated to providing a high quality service in East Lothian. “I was really attracted by the strong focus on clients and look forward to using my experience to help the team’s continued growth and development. 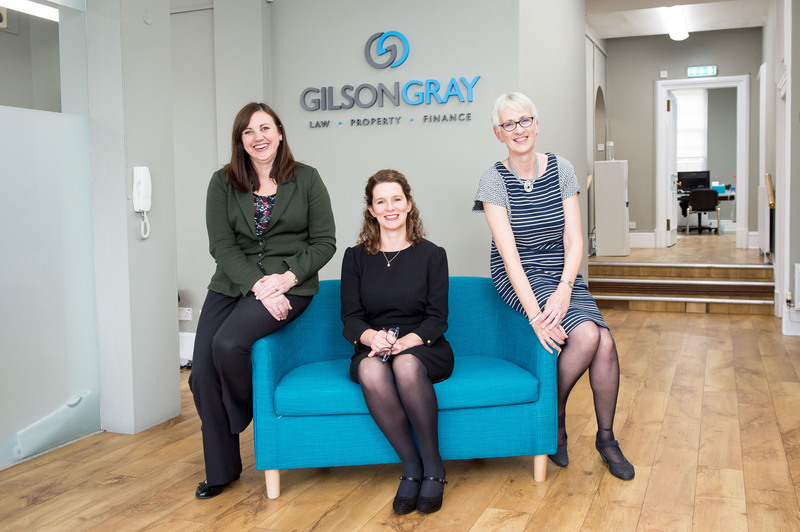 The firm took over the North Berwick office of law firm Lindsays in May this year, with the existing team transferring over to Gilson Gray. Cheryl’s appointment follows hot on the heels of the appointment of local property expert David McPhail as consultant. David has over 30 years’ experience in all areas of the East Lothian property market. Dorothy Kellas is a Partner at the firm and heads up the North Berwick office. She said: “It’s really exciting to be welcoming Cheryl into our team. “She’s well-known in the area for her talent and in-depth knowledge of the local property market as well as for her ability to put clients at ease and deliver a personal service. Gilson Gray was set up in 2014 as the largest full service law firm launch in Scottish legal history, opening in Glasgow and Edinburgh simultaneously with a portfolio of talent poached from leading firms from across the UK. Its rapid rise to become one of the country’s most respected law firms has been underpinned by being different to the norm and harnessing the talents of its highly skilled staff.